do you own that little man? No I don't own the little guy. I just love him. 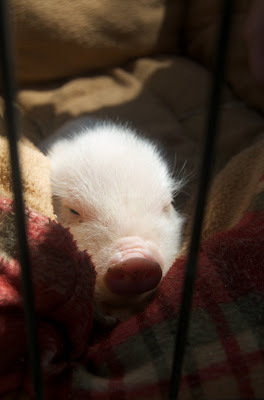 The problem with little piggies are they are the cutest little things ever. Then they grow up. Not as cute when they get huge. He was just at a petting zoo we went to. Brooke yes I want to here your pig story! Please!